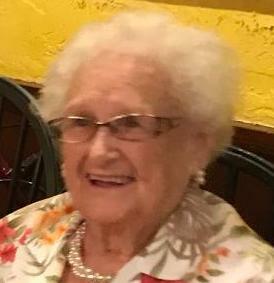 Age 95, of St. Petersburg, Florida, died March 25, 2019. Formerly of Pittsburgh, Pennsylvania. Beloved Wife of the late Casimir Anthony; loving Mother of Thomas J. (Nancy) and Christine A. Arbasak, all of St. Petersburg, Florida. Preceded in death by her children David P., James M, and Cynthia J. Cwiklik. Dear Grandmother "Gigi" of four grandchildren and four great-grandchildren. Friends received at the John J. Gmiter Funeral Home, Ltd., 119 South 15th Street, Pittsburgh, PA on Wednesday, April 3, 2019 from 2-4 pm and 6-8 pm. Mass of Christian Burial at St. Adalbert's Church, Prince of Peace Parish on Thursday, April 4, 2019 at 10:00 am.